Another pasta recipe to try! Knead for 2 minutes, then wrap in Saran Wrap and let it rest on the counter for about 20 minutes. 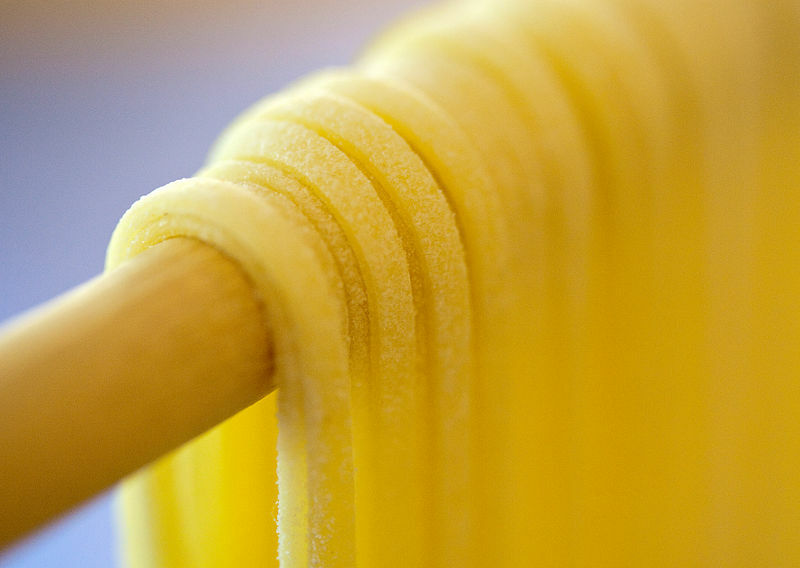 Cut dough in half and pass each half through your pasta machine, rolling it thin to a setting of 5 or 6. 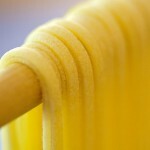 Put the finished pasta sheets through the fettuccine cutter on the pasta machine. Flour them so they won't stick together. Cook in boiling water for about a minute or until cooked as desired.